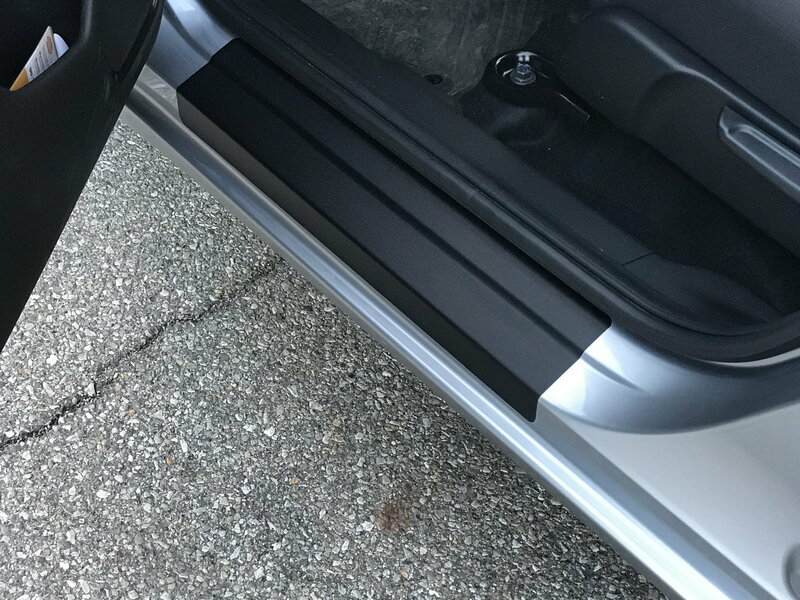 Anyone have a suggestion for a set of door sill scuff plate for my 18 Fit that don’t light up? I used duct tape on mine. Works like a charm. Blue duct tape on yellow background. This is far more than black vinyl. The decal shop was excited to help and introduced me to this protective layer they use on signs and even floor signage that they know will be walked on. It’s a matte finish. I love them but they take the same patience as installing a phone screen protector. Edit: I was not very clear.. This is a black vinyl, against a matte clear protective layer that is meant to be walked on. The decal shop puts the two together with no bubbles, then does an okay job putting radius's on the corners. Then the patience by me installing is next. Three years on my red fit and they looked 95%. More expensive option would be having protective film installed, but I actually really like the black look. id use clear bra.. will look factory and can remove replace any time. btw one can buy a roll of clearbra on amazon.. then cut it to size as you wish, do a wet install though using a squeegee. keep ur fingers wet at all times while handling the adhesive side. SICK JDM License plates! New and Old Driver! Metal plates!